Create a project using the colors: Pink, green, brown, and white. You have TWO WEEKS to play along - Deadline to enter is Friday, February 16, 2018 at Midnight CST. The winners will be announced on the NND blog the following Monday. Diane Morales showcases the new Newton's Sweetheart stamp and die set. 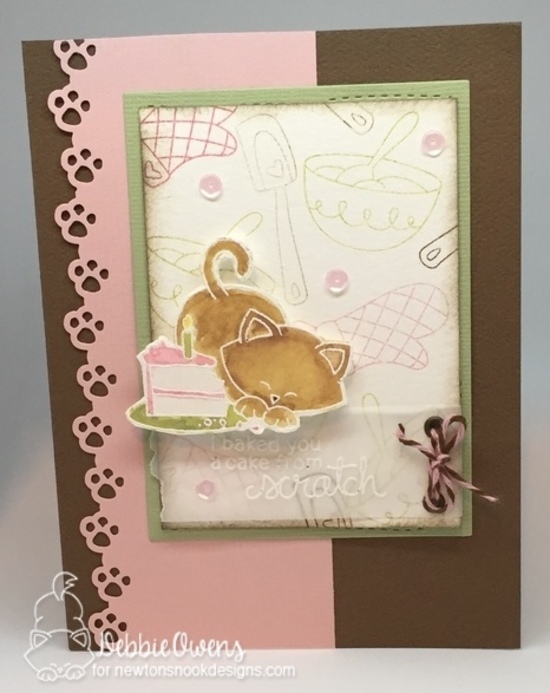 Her soft coloring and the added heart accents make this a card anyone could be smitten with! 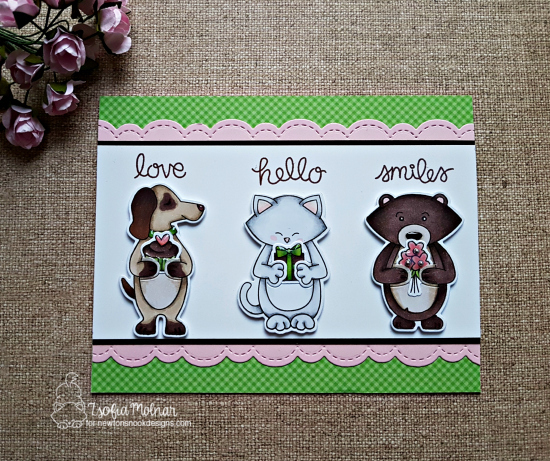 Zsofia Molnar showcases Sending Hugs stamp and die set. This trio of critters with the words above their heads is just delightful. The little spot around the puppy's eye is a fabulous touch! Andrea Shell creates the sweetest, soft scene showcasing this darling deer from Deer Friend stamp set. She uses Tumbling Hearts stencil to create her pink sky. She uses the Holiday Foliage stencil to create her grass. So creative! Made from Scratch stamp set. 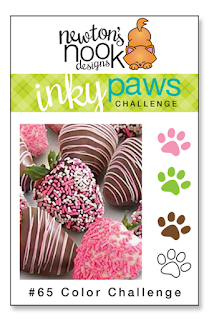 The little paw print edging and bit of twine are sweet finishing touches! Thank you so much for the new challenge and the DT inspiration as well - They always do a fab job. I will be back to upload a couple more hopefully - have a blessed week!